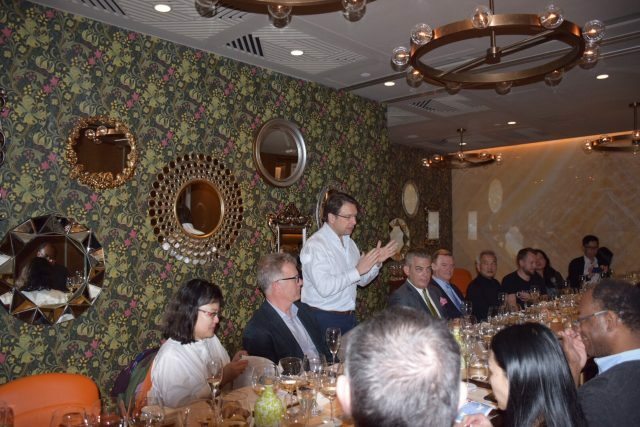 From Timorasso to Vermentino Nero, Italy’s little-known grape varieties had their moment to shine at a dinner hosted by the drinks business HK and VinoVeritas. Home to some of the world’s oldest wine-producing regions in the world, Italy has basked in the adulation of wine consumers in the UK and the US for decades with its famous and not so famous grape varieties. However, Hong Kong has historically been dominated with Italy’s more commercially known grapes such as Sangiovese, Merlot, Cabernet Sauvignon and Pinot Grigio but consumers’ diversifying tastes and increasing interests have led some wine importers to source little-known wines from all corners of Italy. And so, in partnership with Hong Kong’s Italian wine specialist VinoVeritas and Michael Palij MW, dbHK hosted a dinner which took in some of Italy’s premier wine regions, including Veneto, Piemonte, Marche, Puglia, Tuscany and Friuli-Venezia-Giulia in a ‘180 minute’ journey, paired with a four-course Italian dinner at Operetta. The evening started with a premium Prosecco, ‘26esimo I’ by Treviso producer, Andreola, where Palij sketched out the overwhelming popularity Prosecco has seen over the years, especially in the UK where it has taken over Champagne in sales. Travelling 500km or so up Italy’s east coast is Matelica in Marche which nestles opposite Tuscany. The old vine Verdicchio di Matelica Riserva ‘Mirum’, La Monacesca’s flagship, has scooped Gambero Rosso’s Tre Bicchiere award four times. Palij explained Verdicchio’s high acidity and high alcohol and long ageing ability was due to Matelica’s wide diurnal temperature range, as the valley has no rivers. Finally, to end the first course, Palij introduced the Timorasso from Monleale, Piemonte, which is made by the highly regarded producer, Walter Massa. Due to Palij’s involvement in bringing Timorasso to the attention of wine critics, including Jancis Robinson in the late 1990s, he affectionately referred to it as his “signature” wine. The Massa family’s dedication in saving Timorasso, a tricky grape with high concentration and yet such tiny yields has earned them the enduring respect of the world’s wine community.